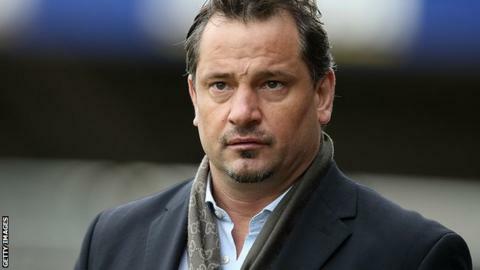 Aldershot manager Dean Holdsworth says he will ring the changes in a bid to turn around their recent run of form. The Shots have lost their last five games in all competitions and sit in the League Two relegation zone. He told BBC Surrey: "I'm going to be very harsh with the players now and say you're not going to play unless your form comes back. "I'll do everything I can to change the personnel. Some of them haven't been good enough." He added: "I've protected them so far but there are changes to be made. "I may have to move one or two out to get some money. I don't think we've got any money but I may have to wheel and deal." The Shots were knocked out of the Johnstone's Paint Trophy following a 2-1 defeat at Plymouth Argyle on Tuesday night. Holdsworth led the club to 11th place in League Two last season but says he is left with no option but to freshen up his squad after winning just two league games in the new campaign. "We've tried the mental approach of having meetings and talking about the right things to do," Holdsworth continued. "If they don't learn, they'll get replaced. "You lose trust in players. At the moment, not enough of them are performing. "We don't have a massive squad and we try and get the best of everyone we can. At the moment it's not coming out. "I've got some serious work to do to try and get a couple of players in and bring some quality to the club. "We must stick together and work hard. We've had some good times and we want them back."